Amongst the abundant assembly of rooms, halls, event centers, and other expanses of Las Noche, lies a chamber rumored to be the birth place of physical combat indoctrination, drills, and several other body building exercises that edified the present day order of assassins. It's floors, walls, and ceilings were masterfully crafted and built to stand firm against indefatigable succession of overpowering attacks capable of disfiguring the settings of conventional training ground during combat processes. Situated underneath the chasmic floors of the prestigious home of Arrancars, the chamber boasts a large tract of densely brown concrete with foreign markings crested on it. Kakashi heard the news about a newly recruited Adjuchas named Yagami Raito. "I remember when I was the new guy, good times" Kakashi said laughing lightly. He was appointed by an unknown personnel to accompany the Adjuchas to the training grounds, and assist him with his training. It'll be just like old times, only this time he is not the trainee but one of the trainers, or so he thought. On hearing the news, he was just as excited as he was on the day of his training, and he didn't want to be tardy. So he got up early, freshened up, wore the traditional Arrancar black and white attire, A White hooded jacket with designed black lines, revealing his muscular build and a pair of tight fitted white pants having the same design with the jacket, coupled with a black sneakers. He did some minor arrangements to his apartment, shady looking on the outside, but was actually kind of nice on the inside. The interior of his apartment was painted brown, he has a gold colored sofa sitting at one end of the room, a cupboard at another end and a wooden stool lying in the center of the room. After settling down for a meal, he quickly grabbed his Zanpakuto and strapped it on the left side of his waist. He put on his hood, left his jacket unzipped to reveal the tattoo situated on the left side of his chest. He left the apartment, locking the door behind him. He rushed immediately, heading to the direction of the training grounds. He ran for a while, before seeing a building with the description he was given. 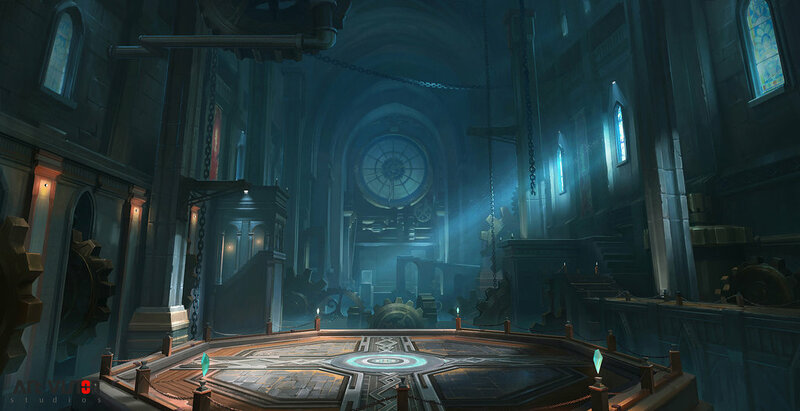 When he got in, the arena had an eery feel, it had chains hanging from the ceiling, very few windows, the walls and floor had a foreign intricate design and at the edges of the arena, he saw diamond like objects glowing and floating atop something looking like an altar. He rested on a wall just besides the entrance and awaited the new recruit and the other person in charge of the training. Yagami slightly opened the door and talked to the young man... Apparently he was a mailman and he had a letter for yagami... The letter was delivered late because the mailman had a hard time finding yagami's address since he lived at the other end of Las noche.. I'm sorry for taking too long to reply this thread. RL kicked in hard but I think I'll be stable for now. @Danty, It's obvious you're new to this as I saw a couple of loosed ends in post. First off I'll credit you for showcasing your cognizance of some of the basics of role playing. For someone new to this, it's a good start. But id recommend you work on your spacing. Learn to use paragraphs when writting, as it not only keeps your writting under control, but as well gives readers better understand of the point you're trying to make in that particular set(s) of expressions. I'd use this medium to call to your notice that making your character do things he didn't feel, see, or experience is bad. Just because you as a role player saw something on a poster's writeup, maybe an action made, that doesn't mean your character saw or felt it. If he wasn't there when something was done, you shouldn't account for it in your post. The point I'm trying to make is, only account for things your character saw, felt, or experienced. Chest rising and falling rhythmically, slow breathing, deeply asleep, body system in search of full recovery from a tense training exercise that occured days ago at the White sand sea. The daughter of Briggs slept at almost any given time of the day in other to fully get back lost strength. But then on one sunny morning, a resonating beeping sound from her cell phone interrupted one of her beauty sleeps. Her dream ended abruptly, as she was shaken back into reality. Her blue eyes opened, eyelashes faintly batting against her lids when she blinked. She woke to soft sheets, and the morning light trickled in through the blinds. Shedding her of the remaining glimpses of the dream, her eyes were still shut as she soaked in the warmth of her covers before letting her blue eyes see the sun's rays. Everything was blurry. For a second, she didn't know who or where she was. She didnt know how she got in the bed, or how got into the clothes she saw. Then, everything was processed. She realized she was in her room. The thing above her was the ceiling. The thing on top of her was a pink duvet. The thing underneath her was the pillow and mattress. The queen could see everything clearly now. She slowly sat up, debating whether or not she should get up. Her muscles still felt a bit weak. Thereafter she let out an exasperated sigh, groaning as she rolled off her bed she had once occupied. "What time is it? What could be the problem now? Why now, why?" All of those questions shot through her mind as she let out a loud yawn, stretched like cat before picking up her phone to read the notification she received. Moments after gazing focusly into the device, Anya's facial expression tangled into a frenzy of disgust. The Intel she received not only ruined her sleep but triggered a mood swing almost immediately. She heated up. But then again, in as much as her body wasn't willing to move, her mind which was solely devoted to her Espada made her struggle her way to freshing up and do other necessities that would prepare her against the upcoming assignment at hand. A couple of hours had swung by since Anya received the notification, but then it was in the fourth hour that her majesty presence was sighted in the chamber of the ancients. With a single push, she opened the door to the training ground. A familiar place it was as she had selectively picked out a couple of times to edify her abilities in this very place. A chamber half the size of a standard football pitch, with markings encrypted all over it's walls and floors for beautification purposes. A place the queen herself have tested and trusted it's overwhelming sturdiness towards attacks, blasts, and all sorts of ravaging impacts; a mystery left to unfold in time. She moved. As she did, she loosened up her walk without exaggerating the swing of her hips. Majestically placing one foot in front of the other accompanied with long strides. The queen allowed her arms to hang at her sides, and kept them relaxed. Such glamorous strides it would seem, something humans would classify as a cat's walk. With her long ever dark hairs cooperating with her seductive movements, the queen made sure to shut the gates of her colossal Reiryoku in other not to kill her students in seconds. Back in time before she made an appearance in the chamber of ancients, Anya's senses picked up the insignificant scraps of Reiryoku signatures dwelling within the arena, one of which she has good knowledge of. It was after she got to the center of the arena that the queen made a U-turn that would allow her eyes properly catch the view of both legionaires. After taking a good look at both individuals, she would say. "Katashi! Yagami! I'm Anya, I've been stationed to show you the ropes around basic battle movements, skill, and several other experiences that comes along with such exercise. I'd advice you work together if you want to step out of this alive...... Do well to come at me with all you've got if you wish to attain that which you came here to achieve....."
"You'd be mistaken if you think id go easy on you two..." she said with her eyes widened; a cold gaze that boldly portrayed a bullet waiting for the pull of a trigger to unleash mayhem on it's target. A simple hand gesture would be made signaling them to attack. Not long after Katashi had arrived at the training grounds, the new guy going by the name Yagami also showed up. He walked into the training grounds wearing a red jacket, a pair of black and white sneakers. He looked like an average human, standing somewhat close to 6ft. A distinctive feature one would notice, was his white hair and bloody red eyes. He watched as Yagami scoured the room, as he called from behind him. "You must be the new guy...... Yagami Raito...if I'm not mistaking? I'm Katashi.... Pleasure to make your acquaintance". Not long after, The door flung wide open and a tall slender feminine figure walked majestically into the training grounds, with her long black hair flowing behind her. She got to the center of the room, before making a U turn to face Katashi and Yagami. "You'd be mistaken if you think id go easy on you two..." And with that, she signalled them that the training session has begun. "I'll go in first, I'll be the bait. When you spot a chance, swoop in and deal as much damage as you can. It's not going to be easy she's way out of our league.... But we have to try.." Katashi whispered Yagami. Katashi then unstrapped the sheath of his Zanpakuto from his waist, and gripped it in his hand. He charged at Anya, and when he was just a few meters from her, he thrust his Zanpakuto, while still in it's sheath at her, and then immediately stopped his arm a few meters away from her face which the blade to slip out of its sheath. The hilt of his Zanpakuto would make it's way to her face, and upon impact, Katashi would deliver a kick to her midsection with enough force to send her flying backwards. He would then unsheathe his Zanpakuto, holding the sheath in his right hand, and the blade in his left. While Yagami still scoured the arena, he heard a voice from behind "You must be the new guy...... Yagami Raito...if I'm not mistaking? I'm Katashi.... Pleasure to make your acquaintance". While the two were getting to know each other, they were suddenly disrupted when the door flung open and a slender feminine figure with long black hair walked in the arena. Yagami and katashi watched the lady in her long sleeved black and white jacket that stops at the point where her lowest rib is situated and A white pleated skirt that stops just at her knees, enabling her free, fast, and flexible movement, walk majestically to the center of the arena before making a U turn to face the two. Katashi! Yagami! I'm Anya, I've been stationed to show you the ropes around basic battle movements, skill, and several other experiences that comes along with such exercise. I'd advice you work together if you want to step out of this alive...... Do well to come at me with all you've got if you wish to attain that which you came here to achieve....."
"You'd be mistaken if you think id go easy on you two..."
And made a hand signal which meant the training has begun. Katashi whispered to yagami "I'll go in first, I'll be the bait. When you spot a chance, swoop in and deal as much damage as you can. It's not going to be easy she's way out of our league.... But we have to try.."
Katashi unstrapped his zanpakuto from his waist then he dashed at Anya, and thrust his sheathed zanpakuto in a way the blade would slip out and the hilt would make way to her face.. Her eyes sparkled with anticipation after gesticulating a 'come at me' signal to her students in the training ground. She'd be pleased to watch them try to execute cooperative attacks, rely on each other's tactitics, or combine deceitful techniques in other to steal a couple of fatal hits on her. That was her wish at the moment, at least for that very moment. Data kept flooding her brain cogs as her pesquisa transmitted series of information which includes; spiritual energy patterns, locomotion of kinetic energy within the arena, Reiryoku signatures, and the likes. Her mind was her weapon, working almost on par with a modernized mapping computer processor, broadcasting data in all its forms into Anya's perspicacious mind. She felt it. That sudden increase in energy converging around Katashi's support appendages. It came to her understanding that the young fellow was about making use of his feet, and then he sprinted towards her a second later. She watched his every step, while he paced, the queen's eyes captured and registered his sprint patterns in her mind, his locomotive maneuverability was slow and direct; no hidden spices to it. It was when he was at the verge of covering the remaining 5 meters distance between them that the behemoth size Numero made a blunt thrust with his scabbard, threatening to use the hilt of his blade to smack her in the face. During the time of the attack, Anya's eyes memorized the forward thrust while simultaneously sensing the adjuchas taking off in sonido. In a single thought process, she would swiftly hazard a guess that both teammates aimed to corner her, using Katashi as some sort of distraction. But all would soon go downhill as Anya wasn't born yesterday. Her experience in countless battles fought over the years surpassed the piece of offering held out by her students. Nevertheless, she must first issue punishment to a naive Numero for freely displaying the hilt of his blade to an enemy. Just as the hilt of the blade partially stretched towards her face, Anya would hastily make a backward somersault, by using both hands to support her body weight on the ground before landing back on her feet. Meanwhile, just as her hands made contact with the floor, her legs would calcitrate the Numero's stretched out wrist thereby causing him to lose the grip on his blade, which would send it flying upwards into midair. An ill-fated situation it would turn out to be for the young adjuchas who appeared above Anya seconds after she made the flip. Before he would poise himself in midair to attack, he would be welcomed with a rotating blade already inches away from his lower abdomen. If nothing was done about it, it would narrowly take a dip into Yagami's abdomen. After making the flip, Anya would simultaneously perform a single jump backwards before pointing at the behemoth looking Numero, sniping a bala that would race passed his left ear at an alarming speed. "Next one will fly three inches to the left......"